Every evening, just before sunset, the light changes and the hills turn to gold. It is so breath-takingly beautiful, that I sit quietly to watch for those few magic moments until the light fades. The cormorants come home to roost in the silver-leaved aspens on the island in the centre of the river, where they chunner like roosting chickens, cackling in crescendo to greet each new arrival and then subsiding into a muted mutter of contentment. As a child I stayed with my grandparents, where I used to love going into the chicken pen at twilight, when the birds were entranced with sleep and one could pick them up and cuddle them with impunity. They clucked and squawked gently in a way that soothed me beyond measure. The cormorants have the same effect. I love them and I worry every autumn when they do not arrive to take up their winter quarters opposite my finca. But every year, at the end of October, when the rest of the islands are occupied and skeins of birds fly across like fighter squadrons in their hundreds, necks stretched and legs trailing behind, I fear they will not return to where I can enjoy their restful evening chorus. And every year, in the first week of November, they begin to settle where I can watch them, and the world feels in balance again. This is the time when I retire early to my little Wendy house on the finca, with a good store of firewood and kindling and a stock of candles to supplement the inadequate solar power on days when cloud has limited its charge. I light the stove, take off the lid to fry a quick pan of eggs or fish, put on a cauldron of water to heat, or leave a soup or stew to cook slowly overnight. Once the fire has settled to a steady burn, I put on one large, dry log, close it all down for the night and put some stones on top to heat up to warm my bed. These I wrap in old socks to prevent them burning me or scorching my bedding. These pictures were taken in very inadequate light, but give you the flavour of my play house with its wood-burning stove, stacked logs and kindling, candle holder, camping cooker, solar power inverter, water tank and my latest new mod con – a gas lamp to enable me to see to do my mending or read even if it has been overcast most of the day. As I have often said, “It is never too late to have a happy childhood,” and I am thoroughly enjoying my second chance. I woke up yesterday to hear angry voices and the sound of a tractor as three irate gentlement searched for the wood they had cut. I did wonder about the wisdom of going out to talk to them, but decided discretion is not me, so got dressed, took my crutch ( a signal that I am elderly and frail, but also a weapon if needed) and marched out to confront them. To my relief, they turned out to include a father and son I know, and when I explained my position they apologised and offered me the same deal I had with the last wood-cutter: half for me and half for them. Well, we shall see if it works this time. They were there again this morning with chain-saw, sledge-hammer and bolsters and seemed happy to pose for this picture of their activities. There was no sign of the tractor or other transport . They explained that they hope to cut the wood every morning and bring the tractor and trailer next Saturday to take alternate loads for me and for them. 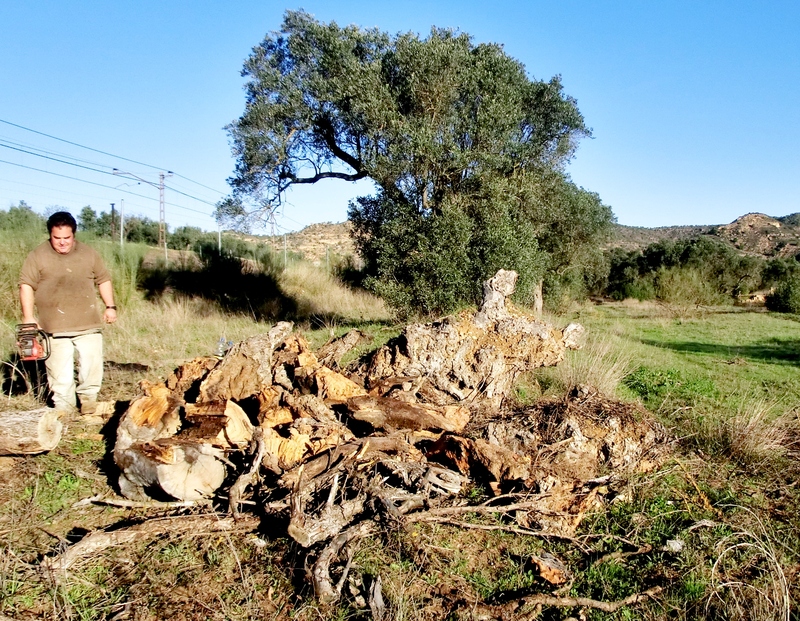 They then suggested that the surviving olive trees would also benefit from pruning, which would provide another source of logs to season for next year. Quite true. I have thought myself that it is criminal to allow everything to succumb to neglect, when I could keep it in order until I am able to purchase the land which has been untended for at least the last eight years. But there is one huge snag. The land is almost worthless, sand and gravel with no irrigation, overgrown with weeds, bamboo and wild liquorice, with crumbling infrastructures that form potential death-traps. I have offered 20,000 euros. The owners want 65,000. Not because it has been valued at that, but simply because there are three of them and they want at least 20,000 each ! Prices here are now incredibly variable, with a fully-furnished 2-bed house in excellent condition on offer at 75,000 for a quick sale and an adjacent ruin which has been for sale at 85,000 for many years. Some prices have halved in the last three years. Others have stayed the same and the unsold properties are slowly falling into decay. 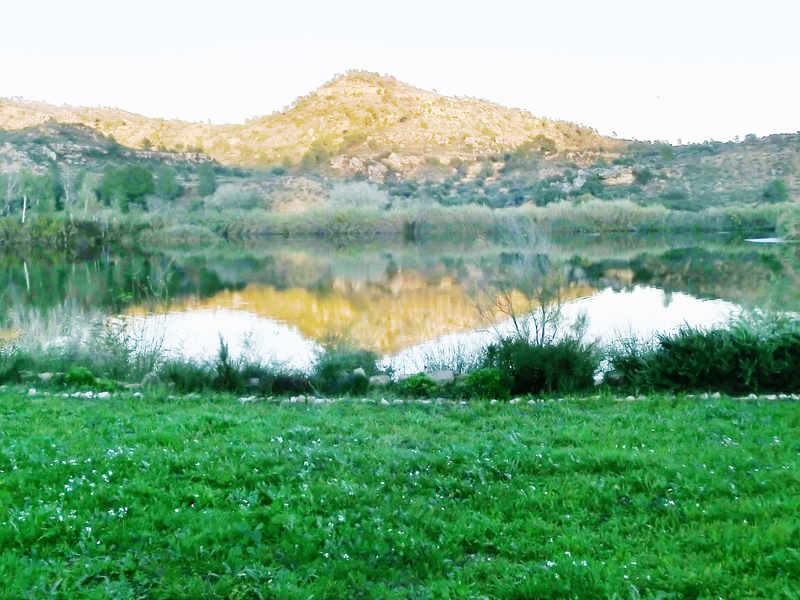 A finca of 9 hectares with producing olives, almonds, carob and stone pines is offered for 18,000 whilst the one I want, less than a hectare with nothing but a river view (the bank actually belongs to the Water Board) is stubbornly kept at over three times its value whilst it loses what little it has left. The attitude is reflected in much of the local commerce where it is argued that they cannot reduce prices in order to increase sales, because there is a crisis and they must retain the value of the stock for which there will never be a market at the prices they ask. I was once a full corporate member of the British Management Association and so I tried, gently, last week, to explain the Woolworth’s logic (pile it high and sell it cheap), to the manageress of a moribund garden centre close by. But she could not see any virtue in decreasing potential profit on individual units to increase actual sales, even though she is currently selling almost nothing and the units sold would increase turnover and therefore real profit. But, hey, I’m retired and it isn’t my problem any more. A frustrating day on the Internet, trying to sort out a way to purchase and send Christmas gifts. Needed to start by getting ink cartridges for my printer from Cartridges DIrect, but my cash card had to be verified by VISA which would not accept a UK debit card without a UK postcode. VS would also not accept a Spanish debit card because this needs to be ratified by mobile phone to obtain a pass code which is only valid for 24 hours. I wrote to customer services by email to explain the problem and ask if I could send a cheque. I got an offer of a 10% reduction with a print-off form to send back with the cheque, which would have been fine except that I need the ink cartridges before I can use my printer. Finally, a lovely lady called Kath phoned me to try to solve my problem. She suggested various online solutions which I had already tried without success but then cut the Gordian knot by taking all the details by phone, including my UK debit card no. Simple and obvious – but it took a woman ! The other orders will be possible by snail mail as soon as I get the ink cartridges to print off the order forms for my Christmas gift and other personal shopping – medical supplies, seeds etc. which I shall do next week. Meanwhile I have another uniquely Spanish dilemma. 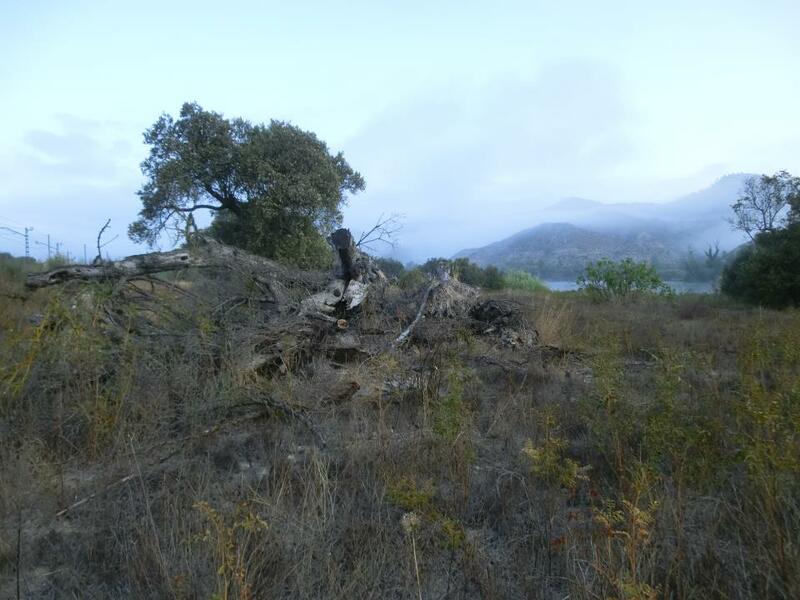 The finca next to mine has been neglected for many years and, since it was overgrown and contained much dead wood, was legally a fire hazard. I have been keeping it in order for my own safety and had permission to take the firewood in return, so I arranged with a Spanish friend to take half for himself, if he cut half for me. But he and others have taken most of the wood for themselves or to sell without honouring their promise to bring some for me. I was not too worried, as the boles of the trees remained and would last me for some time. But today I found that someone had already split and carted away another two of the remaining stumps, so I am afraid I helped myself to some of what they had cut (and obviously left to collect later with their tractor and trailer), in lieu of some of what was promised, and left them a message to come and talk to me. This sort of thing has already happened on another piece of my own land on the opposite side of the railway which is hard for me to access. It does not have a water source, so I simply left it to look after itself and collected the almonds which grew there every autumn. To my amazement, this spring the plot had been ploughed and the almond trees carted away for much-prized fuel by the man whose tractor had been hired for the work by the owner of an adjacent olive grove. I remonstrated with him and was promised firewood and almonds as recompense, but so far nothing has materialised. I also negotiated to sell him the land which he wanted for equipment access to his own, but it seems I cannot do this as it is still legally part of my own plot which, according to the land registry, cannot be sub-divided, although part was compulsarily purchased (for the value they put on a few olive and almond trees growing there) to build a road and railway across the plot which effectively made it inaccessible. I shall have to take this up with him again later, but his mother has died suddenly and it is not the time at present. The village is so inter-related that I have been sympathising with two of my language students, the owners of both a farm and a bar and even the postmistress, on their loss. My first Spanish trick or treater arrived last night – a day late, but still delightfully handsome in his Frankenstein fancy dress with his call of “Truco o Trato”. I was so charmed that I led him to the pantry, closely followed by his two younger sisters, and unwrapped a box of assorted biscuits. He grabbed a handful of the nearest variety and immediately bolted for the door. His tiny sister held her hands out for the box, but then, as I gently suggested, took just a couple. The third sister took hers and stayed long enough to thank me. This trio were a decided improvement on an earlier group of English speaking teenagers led by a lad in plain clothes who bluntly demanded, “Have you any sweets?” He was reprimanded by an equally plainly dressed young lady who reminded him, “That’s not what you’re supposed to say!” They were accompanied by a silent young man in a frogged uniform whom she announced as “Captain Nemo.” Needless to say, I found them some sweets. 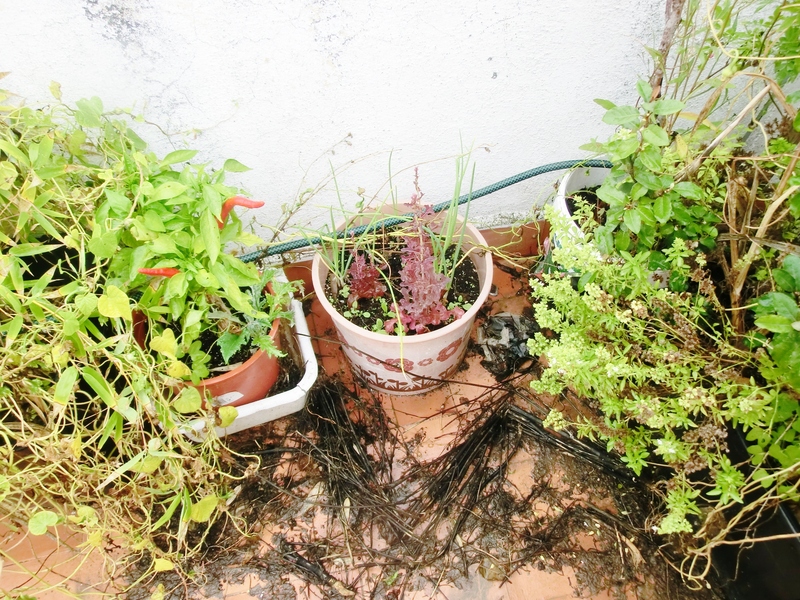 I had spent the day sorting out the garden areas at my bungalow which were wildly overgrown with morning glory, now browning and dropping its seeds everywhere. The downstairs garden is simply a concrete oblong outside the front door with pots and a wooden bench where I restored order and planted a few spring bulbs, radishes and land cress for winter. 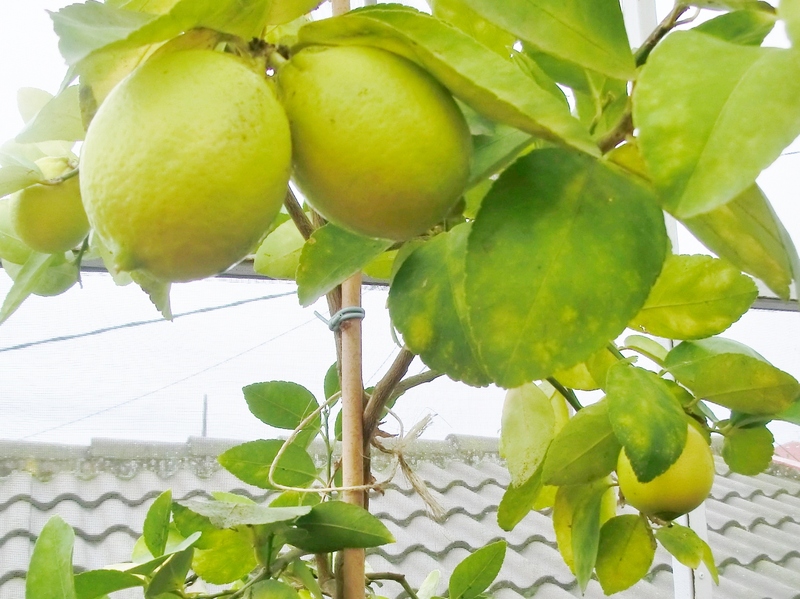 The roof terrace has pots of citrus trees, flowering shrubs and vegetables. 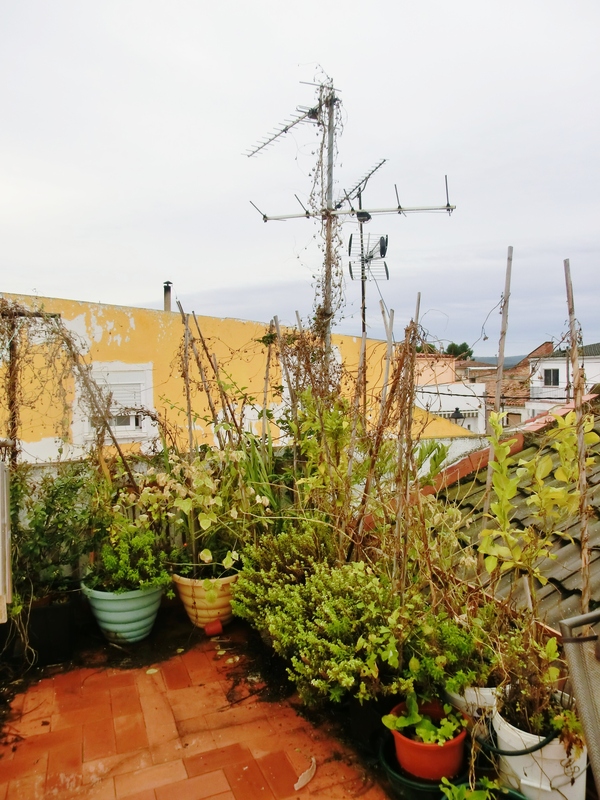 There are a few limes, peppers, spring onions, lettuce, cucumbers and unusual tomatoes left up there, a sprawl of Cherokee beans that have never borne a single flower and a festoon of dying morning glory that has reached to the top of the television aerial. Not a problem, as I don’t have a television and it might as well be of some use for something, but time to tidy it up. 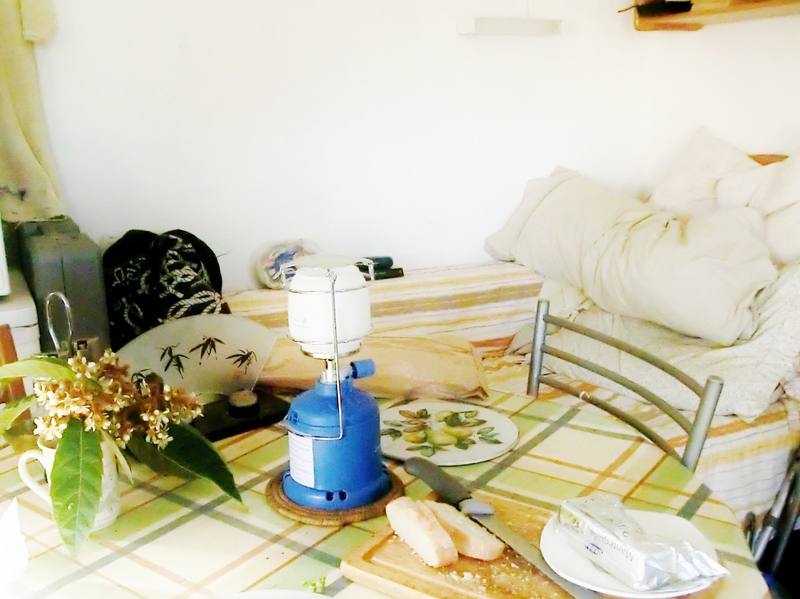 I also have a BarBQ up there, a glass table and chairs, three washing lines, a fly-proofed sleeping area for hot summer nights, and three sets of wind-chimes which I find most pleasant and relaxing. 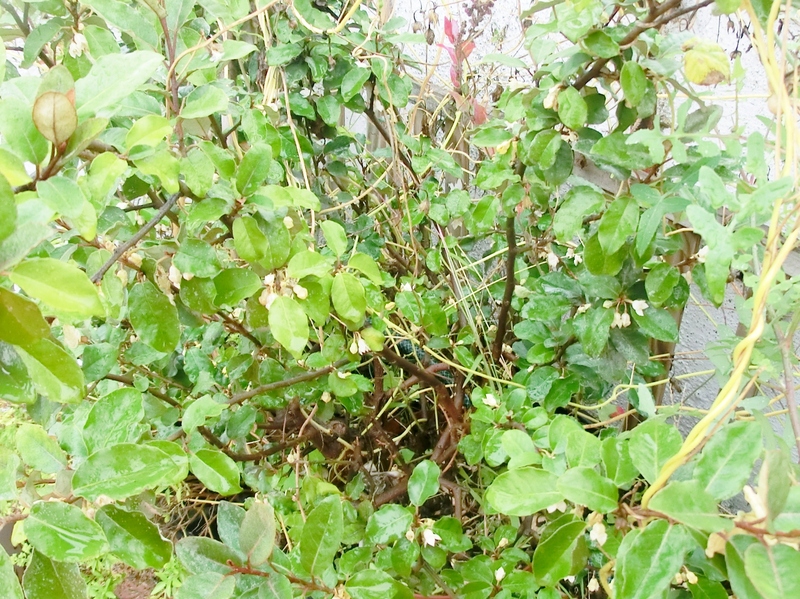 inconspicuous flowers on eleagnus, but delicious scent. This handsome cooker replaces a decrepit, paper-thin predecessor which was apparently well overdue to blow me up. The stove that came with the house finally exhausted my patience. The door got too hot to touch. It was either full on or off and more often than not turned itself off part way through cooking something critical. When I noticed the rust holes in the bottom of the oven, through which one could see that only half the burner was ignited, I decided it was not too extravagant to treat myself to a new one. On Monday the new cooker arrived but it could not be installed until yesterday. Apparently, in Spain, the hose connecting the cooker to its propane cylinder must be replaced at least every five years or it becomes dangerously porous. The one on my gas cylinder had a printed expiry date of 1992 – which made it at least 25 years old and, according to the man who should have installed it, well overdue to cause an explosion. So a trip to the nearby shopping centre, Flix (pronounced fleece), seven kilometres down the road, was necessary to buy a new hose from the nearest hardware store. This morning I decided to test-drive the thing. I am not sure if the regulator is also faulty, because, although the flame is a fierce, blue halo, it does pulse rather alarmingly up and down. Perhaps it will settle with time. Still, I could not resist cooking a pizza – four cheeses with a topping of aubergine and fried onion rings. It came out perfectly: crisp, golden, sizzling and smelling heavenly. Feeling more adventurous by the minute, and in need of some chutney, I checked the pantry for possible ingredients. There was home-made vinegar, the remains of a couple of home-made chilli salsas, a bowl of water-melon pulp left over from the jack-o-lantern, a basket of drying figs, a bucket of Jerusalem artichokes, several cloves of garlic, a pot of fresh-picked huckleberries and a string of onions. There was also a packet of cashew nuts approaching their sell-by date. 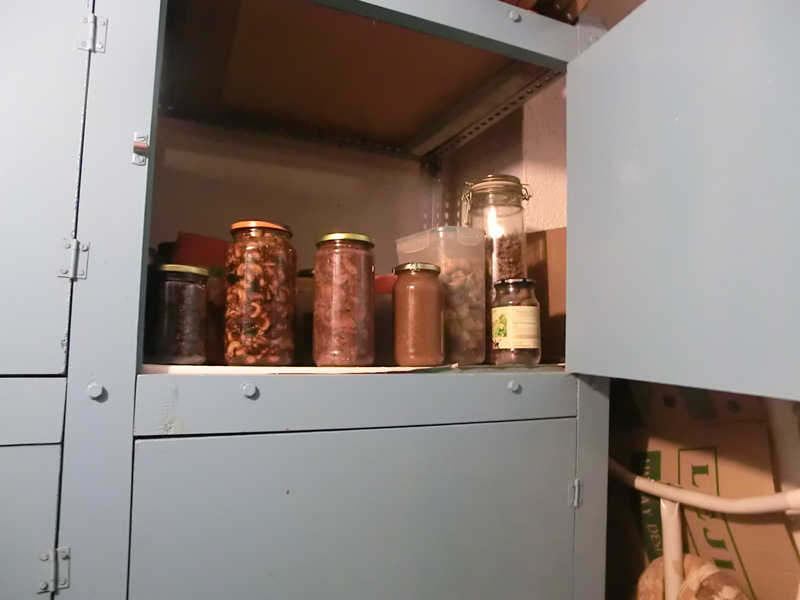 Some of the dried fruit, preserves and chutneys in the store-cupboard. So there you have it. Two jars of cashew relish with figs, water-melon, chilli and ginger and two jars of artichoke chutney with huckleberries, onions, garlic and green pepper sauce for the pantry, and a pot of the left-overs of both mixed together for immediate use with barbecued pork ribs or cheese on toast. Actually, they are all absolutely delicious.